New South Wales' second largest city is nipping at Sydney's heels when it comes to summery destinations. It's also the gateway to a slew of top-notch experiences nearby. So, pack your bags; Newcastle and its surrounds beckon. About two and a half hours north of Sydney, you’ll find Port Stephens, an area dotted with bays, inlets and that happens to be double the size of Sydney Harbour — meaning double the amount of water-themed activities to have. Only an hour from Newcastle — which is just a quick hop across the Tasman from Auckland — its 1000 square-metres of water are encircled with tranquil beaches, magical forests and the biggest sand dunes in the Southern Hemisphere. Plus, a bunch of bottlenose dolphins call these waters home. If you’re a keen adventurer, you can pack in as much action as you like — from horse riding along sweeping beaches to hiking along stunning coastal trails. And if you’d prefer to relax, spend your time wandering between waterfront cocktail bars and decadent restaurants. The difficulty is working out where to begin — especially if you’re travelling for just a few days. 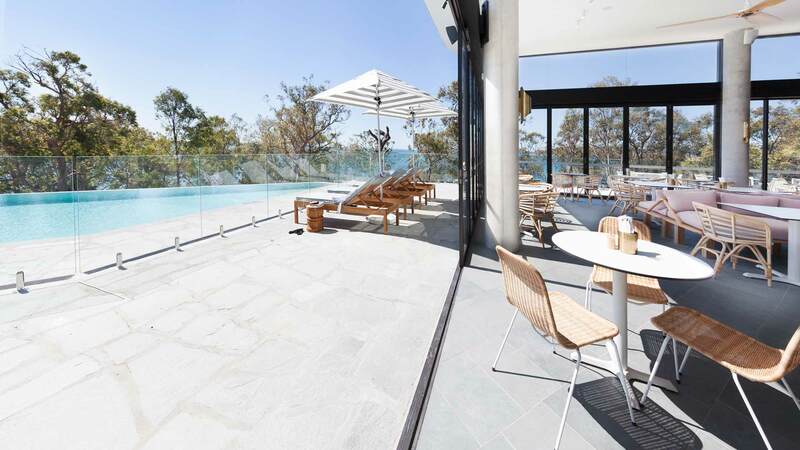 That’s why we’ve teamed up with Virgin Australia and Destination NSW to bring you the best things to eat, drink, see and do in Port Stephens this summer. Travel on one of Virgin Australia’s affordable seasonal flights from Auckland to Newcastle, and you’ll have spare money to spend on adventuring and/or relaxing. 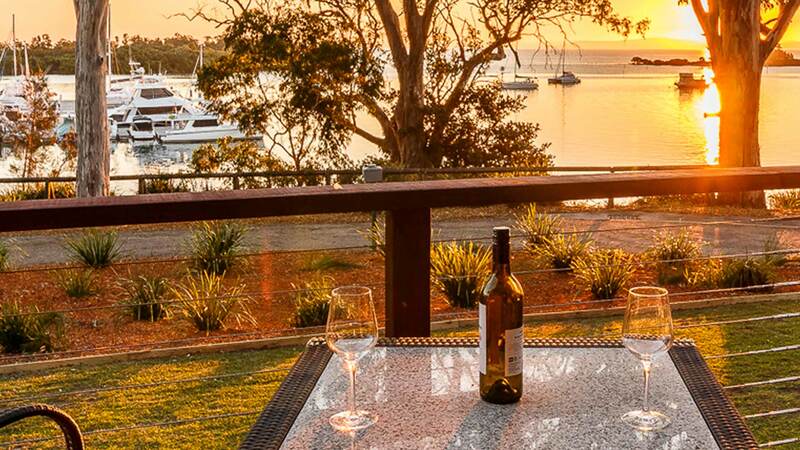 With water, water everywhere, the best time to visit Port Stephens is during summer. 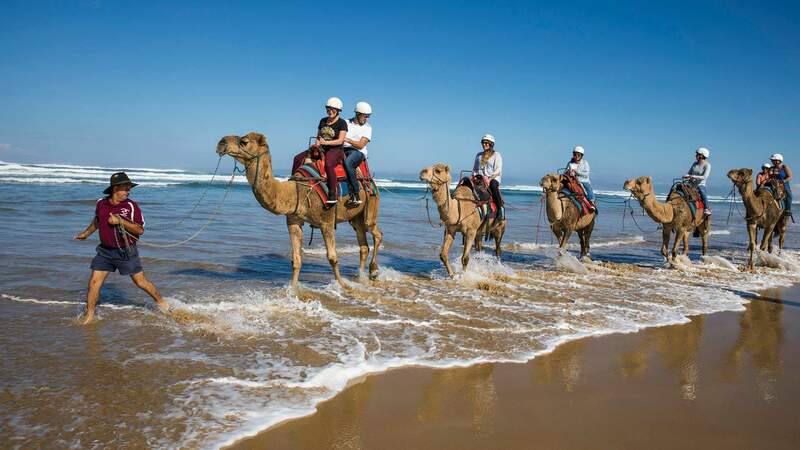 You can swim, bushwalk to find stunning views, meet dolphins and even stroll along the beach atop a camel — and all to your heart’s content. Plan your trip for when the weather is warm, the water is perfect and the days are long and sunny. Port Stephens lies an hour’s drive northeast of Newcastle. This summer you can fly direct from Auckland on one of Virgin Australia‘s seasonal flights. They run three times a week throughout summer till February 17. Short on time? Disappear on a Tuesday, Thursday or Sunday and be back within two days. 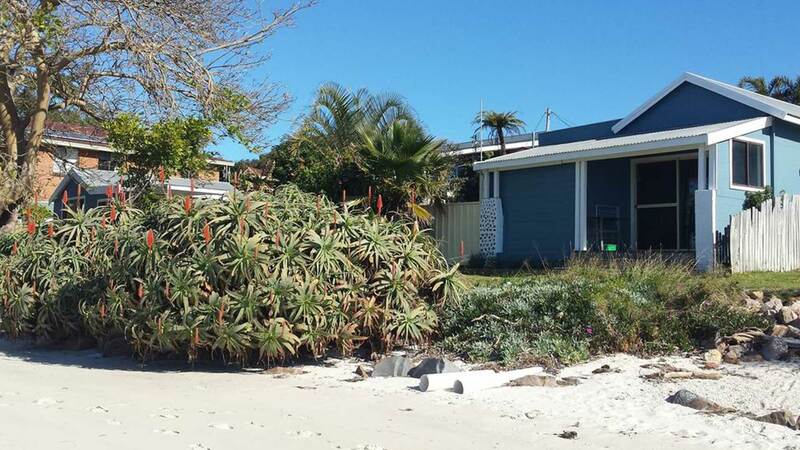 With so many beautiful, natural areas, Port Stephens is friendly to budgeters. Those low on funds can spend their time picnicking at beaches and wandering through forests. But, if you’ve cash to splash, hit high-end restaurants and fancy bars. Either way, you’ll save by booking one of Virgin Australia‘s seasonal direct flights from Auckland to Newcastle. Given that people travel from the other side of the world to see Port Stephens’ dolphins up-close, you ought to do the same. Also make sure you summit Tomaree Head for panoramic views. Then there’s Stockton Beach — backdropped by the biggest dunes in the Southern Hemisphere where you can ride a horse through the waves. 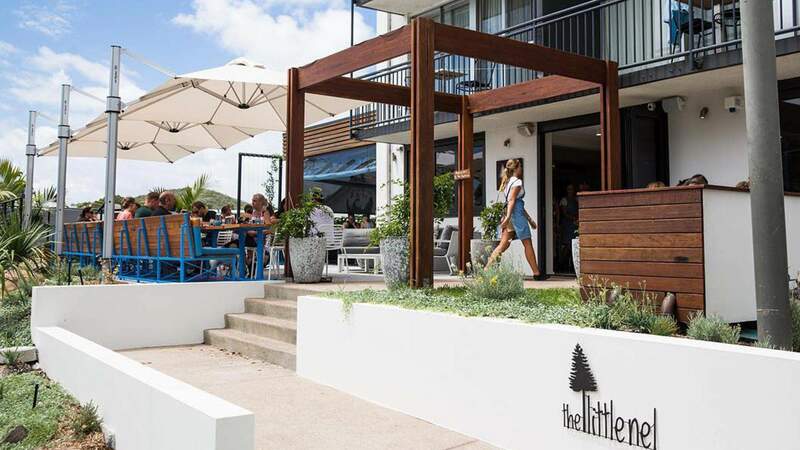 Kick off your day with brekkie at The Little Nel in Nelson Bay. If you can, nab a spot on the outdoor terrace, where you’ll soak up plenty of sunshine. Co-owners and friends Dan, Mat and Andrew create every dish with local, seasonal produce and made-from-scratch ingredients. Dig into sambal chilli scrambled eggs with coconut yoghurt, sriracha, green papaya, crushed cashews, crispy shallots, coriander and lime on soy and linseed sourdough, then cool off with a frozen raspberry yoghurt bar with a coconut ‘cloud’, pistachio, strawberries, blueberries, puffed corn and nut granola. 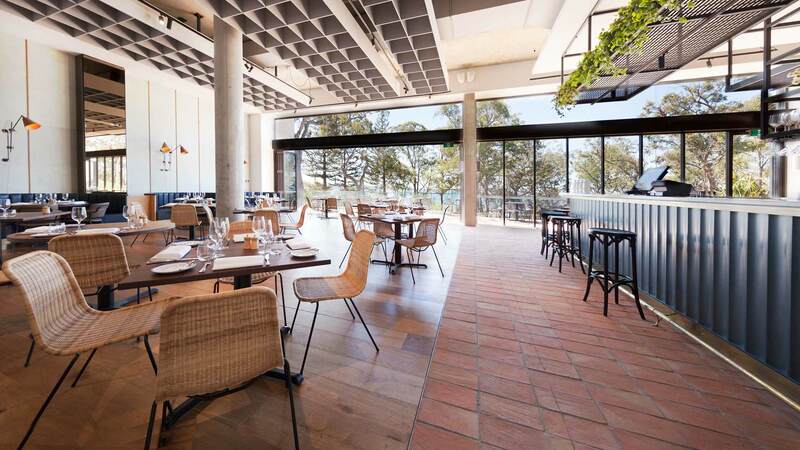 One of the best restaurants in Port Stephens is the newly opened Rick Stein at Bannisters in Soldiers Point. Designer Sarah Stein — in league with designer Romy Alwill — has created a breezy interior, splashed with terracotta, timber and Japanese watercolours. The menu is all about fresh, premium seafood. If you’re up for a feast, order a platter for two, loaded with prawns, scallops, oysters, mussels, blue swimmer crab and clams (and a bottle of good Champagne). Other offerings include black cuttlefish risotto based on a Croatian recipe; Madras curry made with local Evans Head mulloway, tomato and tamarind; and Singapore chilli blue swimmer crab. Named after the great American writer Ernest Hemingway — author of the Old Man and the Sea — Hemingway’s Bar is a mahogany-laden, velvet and leather-splashed hideaway overlooking the water. You can work your way through a whisky tasting — available every day at 5pm — sampling various top shelf single malts from all over the world. But if whisky isn’t your thing, settle into a banquette and choose a signature cocktail, rare spirit, craft beer or boutique wine from the menu. 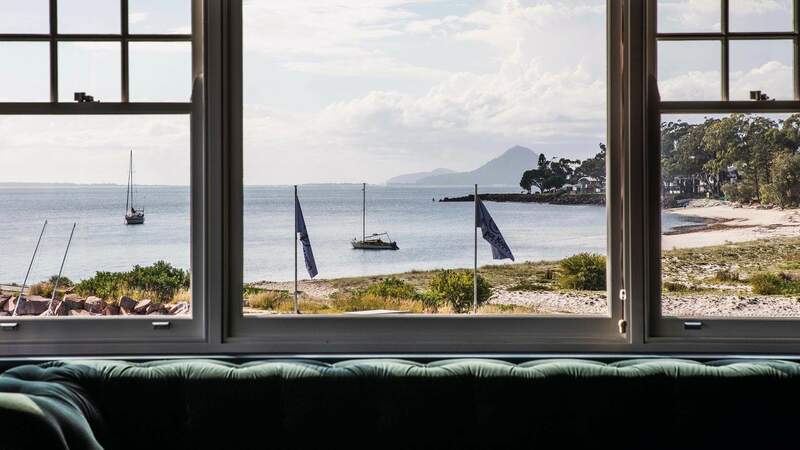 You’ll find Hemingway’s Bar within The Anchorage, a swish hotel on the waterfront in Corlette. 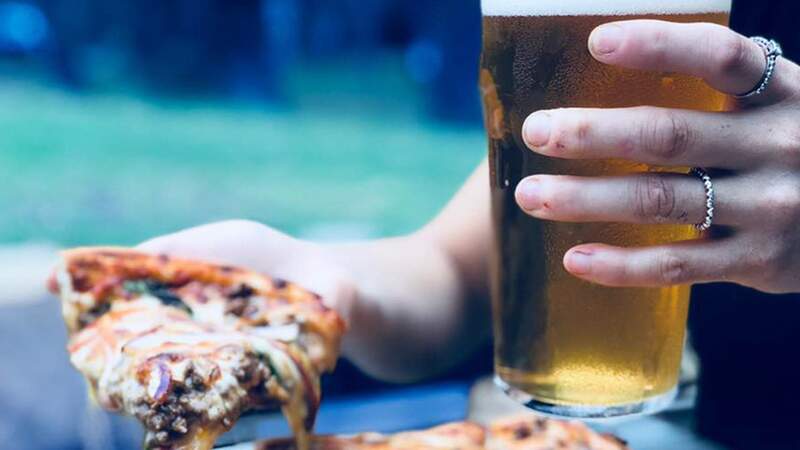 DRINK: LOCAL BEERS AT MURRAY’S CRAFT BREWING CO. This brewery’s restless founder (and brewer) Murray Howe is continually coming up with new ideas, so there’s never a dull day at Murray’s Craft Brewing Co in Bobs Farm. Among the current seasonal drops, there’s the Coco Hops, a coconut porter bursting with chocolate and coffee flavours, and the Blood Moon IPA, infused with Cara Cara blood oranges and pink grapefruit. Take a seat at a picnic table and taste your way through the entire collection, while overlooking lush green grass and bushland. Should you get peckish, there are barbecued meats, burgers and pizzas, made on Murray’s smoker and woodfired oven. Whether you’ve never been on horseback before or are a veteran jackaroo, a ride along Stockton Beach on Port Stephens’ southern side is a dazzling experience. On one side, you have the crashing waves of the Tasman Sea, and, on the other, the towering Stockton Sand Dunes. Book your adventure by getting in touch with Sahara Trails, who’ll match you with the right horse for your skill level. You’re welcome to stick to walking or work your way up into a swift gallop. If camels are more your style, get in touch with Oakfield Ranch. 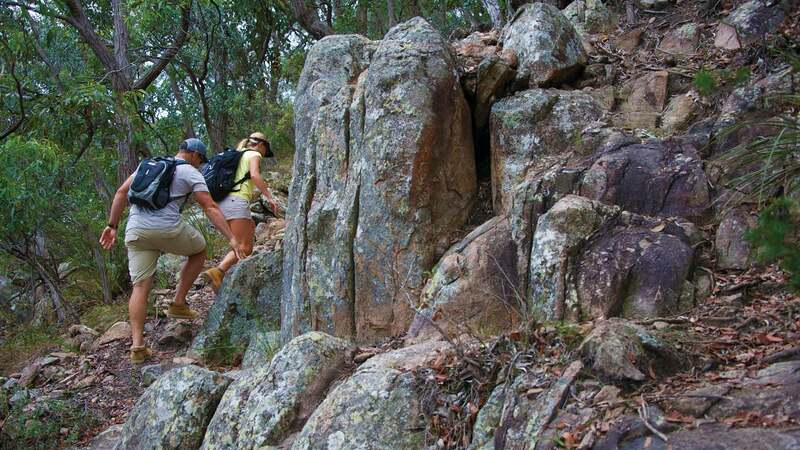 For awe-inspiring views over Port Stephens and coastline that seems to go on forever, hike to the summit of Tomaree Head: the rugged peak that guards the port’s entrance to the Tasman Sea. Looking eastwards, you’ll notice the islands of Cabbage Tree and Boondelbah, the only spots in the world where the Gould’s petrel — an endangered species of seabird — nests. Consider taking a picnic with you, as there’s a table on the summit where you can sit for a while and soak up the views. At 45 minutes, the hike is brief but steep, so don’t go too hard too early. It’s hard to visit Port Stephens and not meet dolphins. There are somewhere between 90 and 120 of the creatures living in the bay. The easiest — and cheapest — way to see them is by watching from the shoreline. (Think about packing your binoculars.) Among the best vantage points are Tomaree Head, Nelson Bay, Shoal Bay, Boat Harbour and the Barry Park whale-watching platform at the end of Fingal Bay Beach. 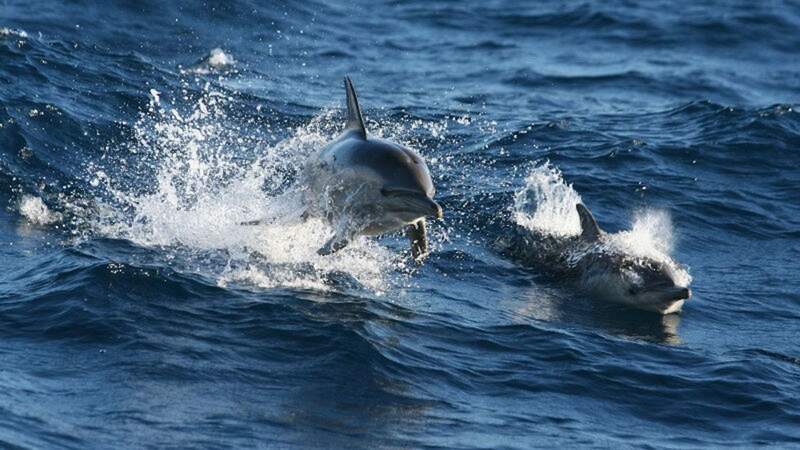 Alternatively, jump aboard a dolphin-watching cruise. Travellers who dislike big crowds should go with eco-friendly Imagine, whose vessels carry no more than 22 people at a time. 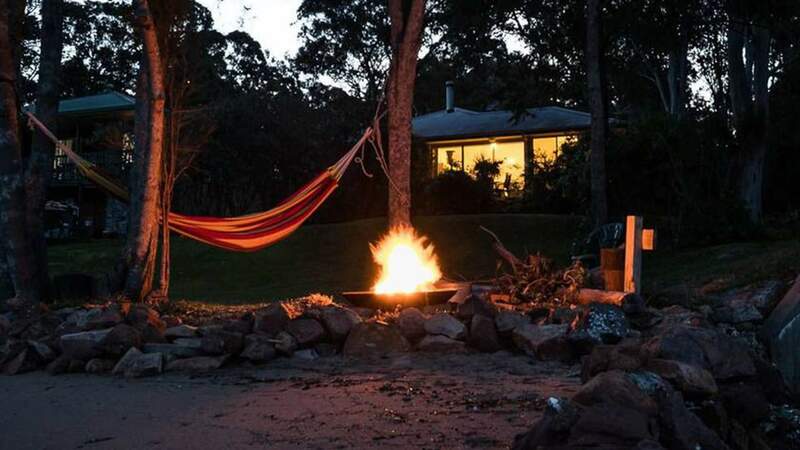 The best places to rest your head around Port Stephens.